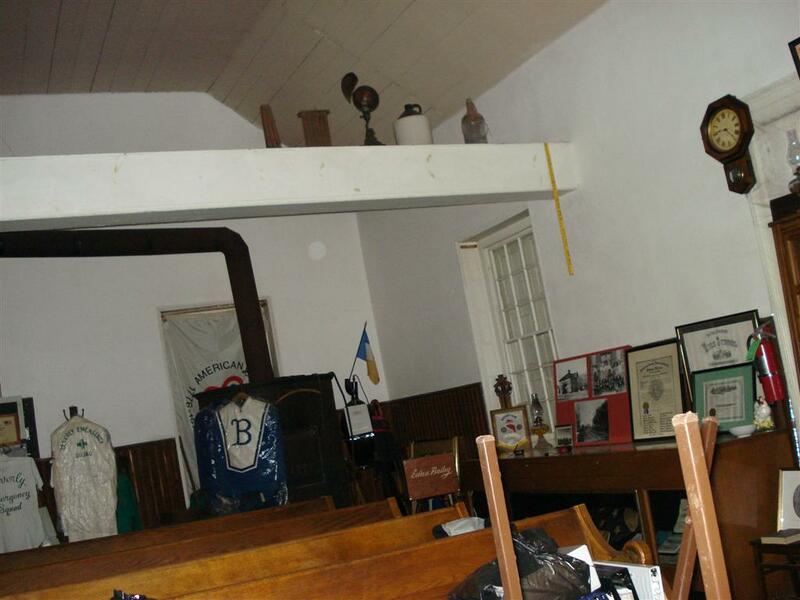 This was SJGR's first investigation of the Coopertown Meeting House itself, but 2nd investigation of the surrounding grounds and cemetery. We were invited in by the local historical society to obtain evidence for the Edgewater Park community and public lectures. The Coopertown Meeting House, built between 1802 and 1806 is currently #20 on the National Register of Historic Places for Burlington County, New Jersey. During the investigation, the apparition of an adult male was seen entering from the outside on the cemetery side of the building where the door is no longer in use. He appeared to be in his 40’s, Caucasian and approximately 5’10” tall. Most of the investigators got the impression the building was used as a church at one time. The physical evidence collected consisted of 2 EVPs, some of which appear to interact with investigators and their questions, and 20 positive photos with anomalies in them, including an apparition photo of a hooded figure kneeling. Slightly more than 2.35% of the positive photos is normal. However, obtaining an apparition photo with the Infrared Nightvision Scope and three consecutive empty photos taken with the Nightvision Motion Sensor camera is highly significant evidence. No anomalous EMF or temperature readings were obtained during the investigation. 9:25pm – Investigator Bown took this photo after her attention was drawn to this area, feeling it was significant for some reason. Investigator Juliano reported getting the same feeling at the same time. 10:25pm – Investigator Niedt took this photo after observing a shadow move at the front end of the building, utilizing a Sony DSC-55W Cybershot Digital Camera and the Yukon NVMT 2X24 Multi-Tasking Compact Night Vision Monocular w/Built-In IR illuminator. It looks like a hooded monk kneeling in one of the pews.